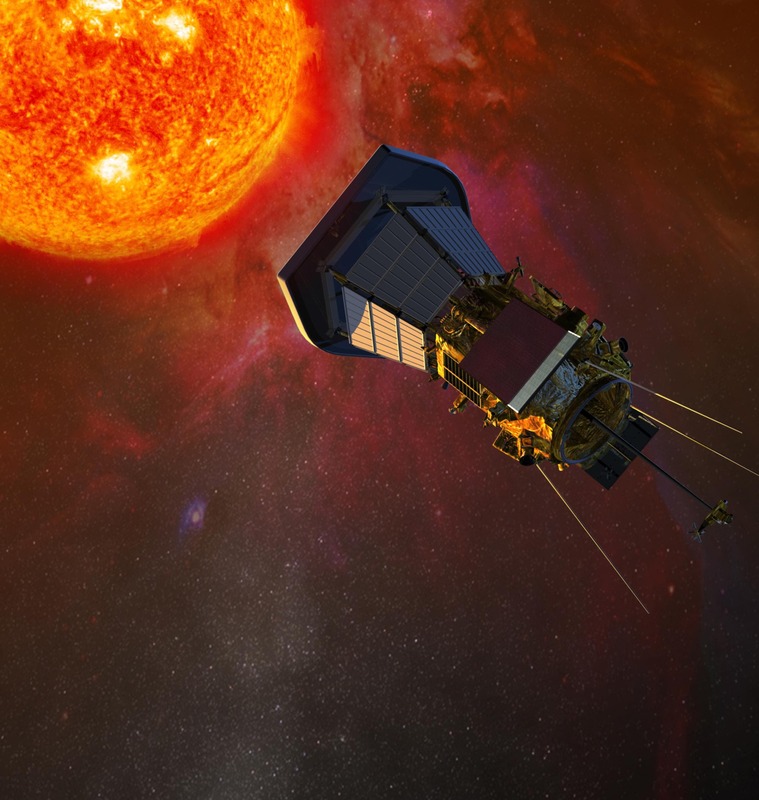 Solar Probe Plus will orbit the sun 24 times, gradually “walking in” toward the sun with each pass. The closest points of each orbit come well within the path of Mercury— the closest planet to the sun. On the final three orbits, Solar Probe Plus will fly to within 3.7 million miles of the sun’s surface. That is about seven times closer than the current record-holder, the Helios spacecraft. First, the mission will attempt reveal why the atmosphere, the sun’s corona is hotter than the surface, the photosphere, is a huge puzzle.The surface of the sun is only about 10,000 degrees Fahrenheit (5,500 degrees Celsius), while the atmosphere above it is a blazing 3.5 million F (2 million C), according to NASA. Second, NASA scientists want to know how the sun blows a stream of charged particles in all directions at a million miles an hour. 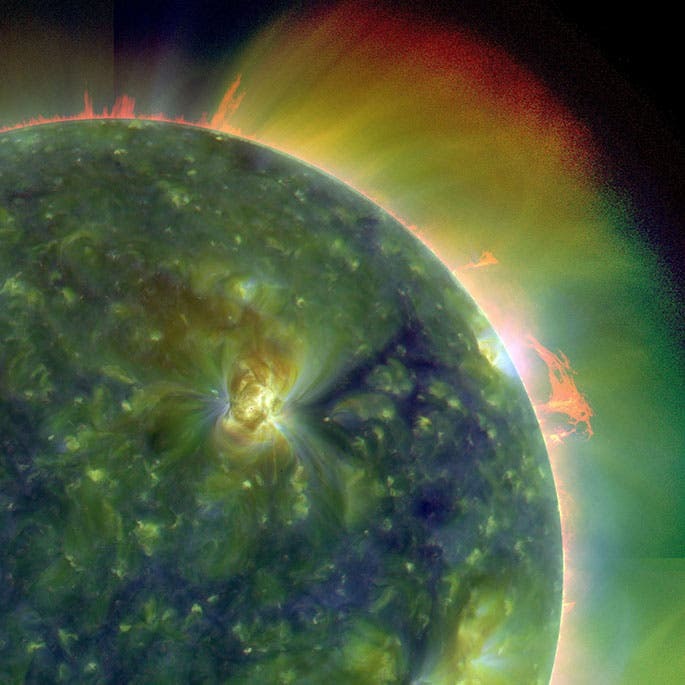 Third, the mission will attempt to find out why the sun occasionally emits high-energy solar energetic particles, that are a danger to astronauts and spacecraft. Flying to within 4 million miles of the sun is the challengeof how To deal with the extreme temperatures. NASA scientists have designed a 4.5-inch-thick (11.4 centimeters) carbon-composite shield, which is designed to withstand temperatures outside the spacecraft of 2,500 F (1,370 C), according to the Johns Hopkins University Applied Physics Laboratory, a NASA mission partner. If these protections work as expected, the instruments in the probe will stay at room temperature, Christian concluded. The Solar Probe Plus will also be protected from radiation, which can damage the probe’s electrical circuits, especially its memory. If all goes as planned, the Solar Probe Plus will be the closest that a man-made object has ever made it this close to the sun. Until now, the closest spacecraft were Helios 1 (launched December 1974), which flew within 29 million miles (47 million km) of the sun, and Helios 2 (launched April 1976), which flew 1.8 million miles (3 million km) closer to the sun than Helios 1.